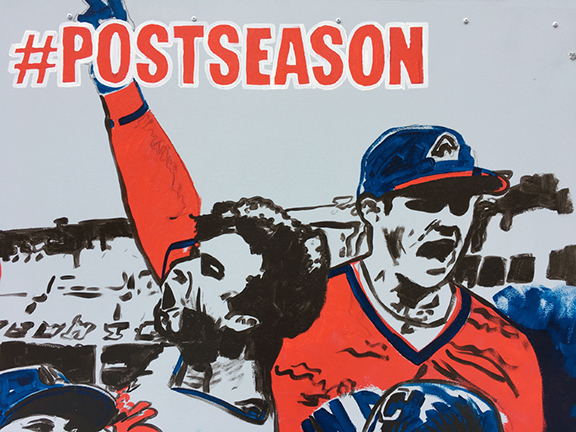 Major League Baseball TV (MLB TV) wanted to create a time-lapse video of artists painting murals in each of the ALCS and NLCS cities for the televised broadcast of the 2016 playoffs. 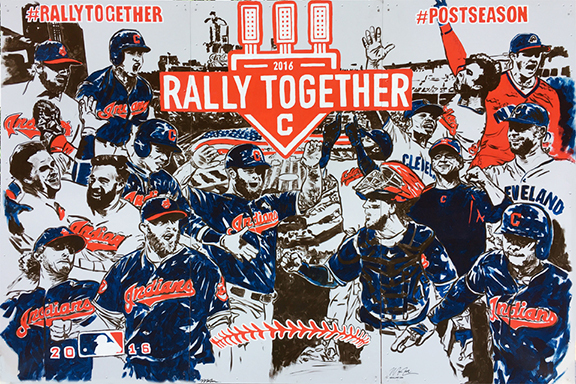 Art x Love negotiated the location for the Cleveland Indians mural, and created a design that could be completed in 4 hours. 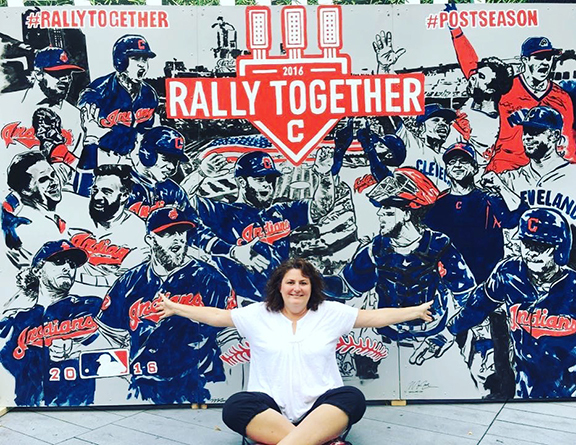 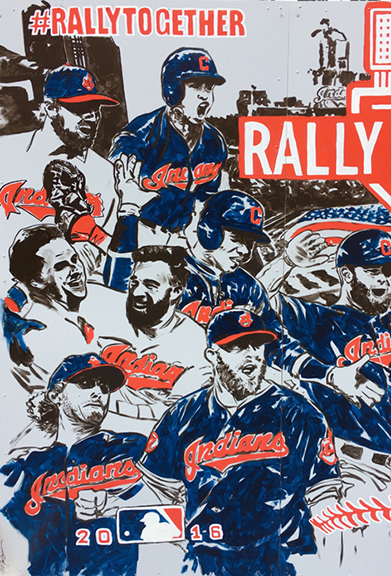 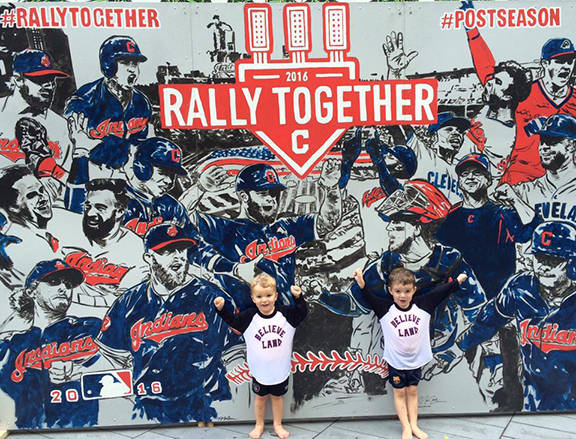 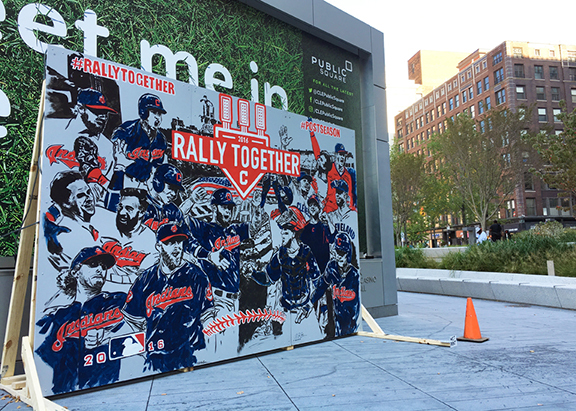 Located in Cleveland's Public Square throughout the playoffs, the "Rally Together" mural went viral as part of a World Series tickets promotion. 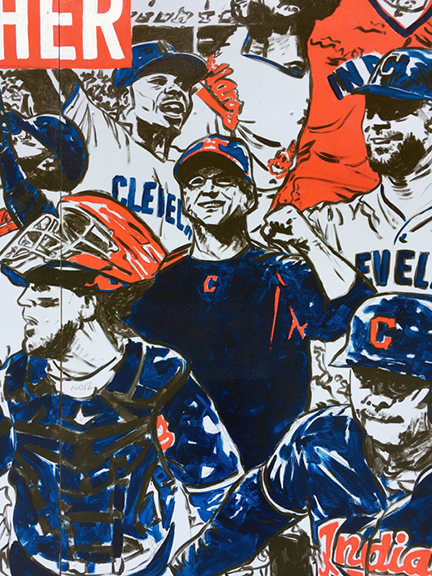 The painting currently resides with Carlos Carrasco, a Cleveland Indians starting pitcher and great human being. 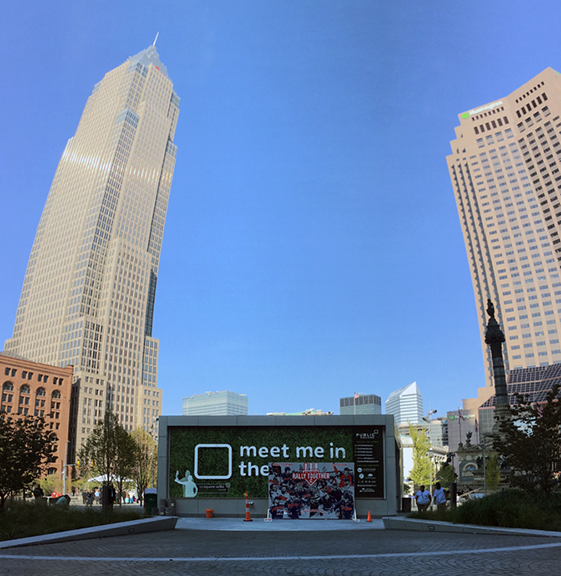 Exterior latex and pencil on primed masonite panels, attached to a freestanding A-frame structure.